I saw this the other day on a liberal-leaning site and they harped repeatably about how Rasmussen leans Republican all the while ignoring that Rasmussen was one of the most accurate polls in the 2016 presidential race. But, then again it's a poll and they are inherently flawed most of the time, but the fact that he is even polling anywhere near the numbers he is (even on liberal leaning polls) when the mainstream media has lobbied an outright 24/7 attack cycle vs the 24/7 fawning Obama received from the mainstream media is amazing. Ok, what does "beep beep" mean? Someone let me in on the joke.
. the fact that he is even polling anywhere near the numbers he is (even on liberal leaning polls) when the mainstream media has lobbied an outright 24/7 attack cycle vs the 24/7 fawning Obama received from the mainstream media is amazing. Edited by InterestedBystander, 07 October 2018 - 08:49 AM. A number of weeks ago I commented on how the Lefts attempts at taking down and stopping President Trump reminds me of the old Road Runner cartoons. Wille Coyote always planning and setting traps to get Road Runner. In the end plan & trap fails ! 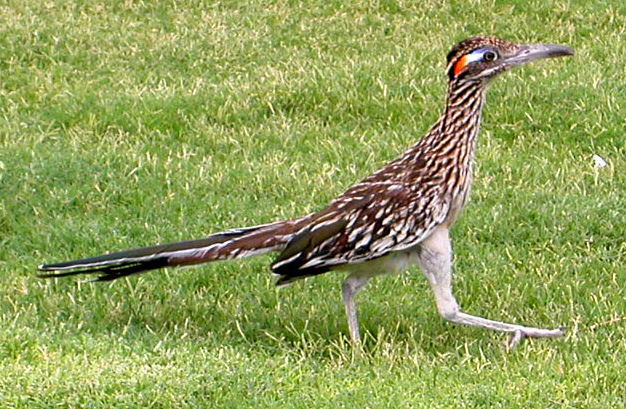 Road Runner goes .... Beep. Beep. Yep, considering how much of that is AND the fact that a good 3rd of the population (at a minimum) ONLY gets its information from said media, does make it amazing. Back in high school, I had a poster that showed the coyote holding the RR by the throat and getting ready to punch him. The caption was "Beep, beep, your @$$ !!" And then he got hit in the head by a falling anvil? I don't trust this poll. I want to see more and then an average. I find it hard to believe that Trump is in positive territory. This is Fake News to me until others start saying the same thing. I don't even see this as a headline on Fox News. The only poll that even somewhat accurately represents reality is the one in which ballots are cast, as that's the one where everyone who wants to have a voice, can. Everything else is just a tiny, minuscule sample (usually biased by the poll writer). Only 16 points to go and he'll tie Nixon's highest approval rating. Go Trump! You can do it! Ok - here's some more. I could go on... but my fingers hurt! I think I'll send him 20 bucks for his 2020 run! https://projects.fiv...proval-ratings/has a very good historical view as well as poll averaging to show what non-cherry picked data reveals. https://projects.fiv...val-ratings/has a very good historical view as well as poll averaging to show what non-cherry picked data reveals. What did they have to say in early November 2016? About a 10% chance to win. Which is a chance. Also he lost the popular vote as predicted only narrowly got two key states for the EC win. Since the polls are based on people and EC votes it seemed it did pretty well. Trump was unpopular on election day and still is. It is the goofy way in which we elect the president that got him his win. Well that and the unfair apportionment of electors. Edited by ScottFM, 12 October 2018 - 12:20 AM. Since the polls are based on people and EC votes it seemed it did pretty well. Your argument only applies to generic national polls that were sort of right but failed to take into how the president is actually elected. The polls failed miserably when it came to the state and local polls, those regional and state polls entirely blew the 'people' vote estimates that would award the EC votes. Plus there was non-stop polls saying Trump would never penetrate the 'Blue EC' wall and thus he would lose in a landslide up until about an hour before they started handing out the lemons to the experts that were staring into the cameras speechless. At the end of the day the polls were wrong no matter how you spin it. 304 to 227 isn't a blowout, but it's a solid win, and if we do some typical statistical corrections like truncating the mean aka tossing out Trumps biggest winning state of Texas, tossing out Hillary's biggest winning state of California, and tossing out Trump's smallest margin win of Michigan and Hillary's smallest win of New Hampshire, Trump wins the popular vote and the still wins the electoral vote in the other 46 (+DC) states combined. This is exactly why we have an EC so that one or two highly populated states don't negate the rights of the other states, and yes I said state rights because the Federal government holds together and governs over the union of states, not the people individually. Edited by Flynn, 12 October 2018 - 02:13 AM. Hilary and Donald were two of the least popular presidential candidates of all time. Trump has barely broken 50% approval rating even by his most favorable polls. That's one of the worst showings of all time. I woulnd't be touting Trump's "great poll numbers" if I were one of his supporters, because the facts simply don't support the argument. Still our President, and if he decides to run again in 2020 ... WILL again be our President !! Just read that Trump is going to be nominating 3 conservative judges to the 9th Circuit. I approve! Liberal Democrat Progressives Always promise to give people “stuff” in order to get elected. You know what Trump promised to Give in order to get DULY elected ?? He promised to Give BACK !! He promised to give people their money back - Lower Taxes. He promised to give people the ability to provide for themselves back - record job growth and record low unemployment! He promised to give people back their power - less burdensome government regulations!! Lefties Hate that ! And they hate Trump for Giving Back to the people!! Promised Made - Promises Kept !! So far you're one too few. Be careful or there will be no Beep Beep.